Not all the animals at the race were dogs. 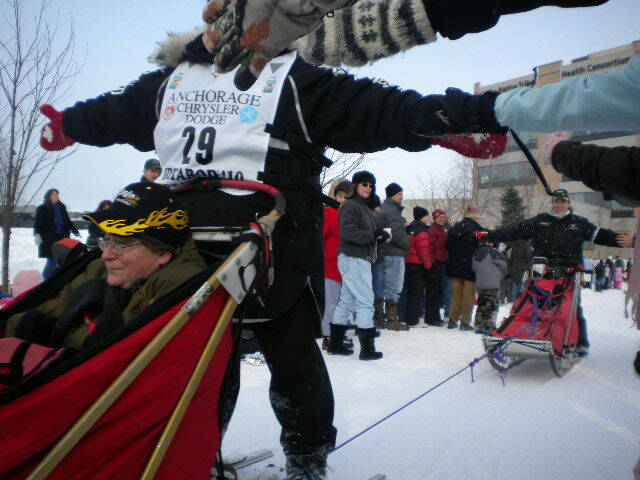 Some mushers were all about the crowd participation. The Idita-riders seemed to be having the time of their lives. We decided to go downtown to see the snow sculptures before heading home. I’ll post those pictures soon. Jeff King, a 4-time winner (he’s won 4 times out of the 19 races he’s run. That’s over 20%. ), was holding his cell phone above his head, yelling, “Make some NOISE! !” You could tell he was really having fun. My question is, who was on the other end of the cell phone? If you’re not familiar, Lance has won the last two Itidarods and is a cancer survivor. This man is tough as nails. 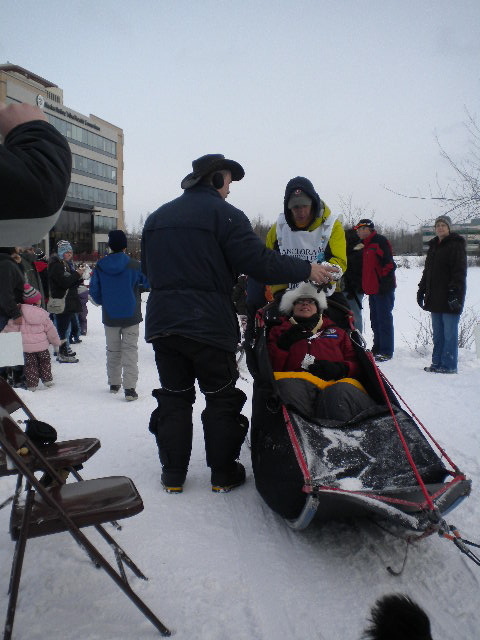 After seeing Lance, we went down to the Alaska Native Health Consortium building where Horizon was hosting a community get-together to watch the race. There were free hot dogs, chips, soda, hot chocolate and cookies. It was a real treat to have food while watching the race. 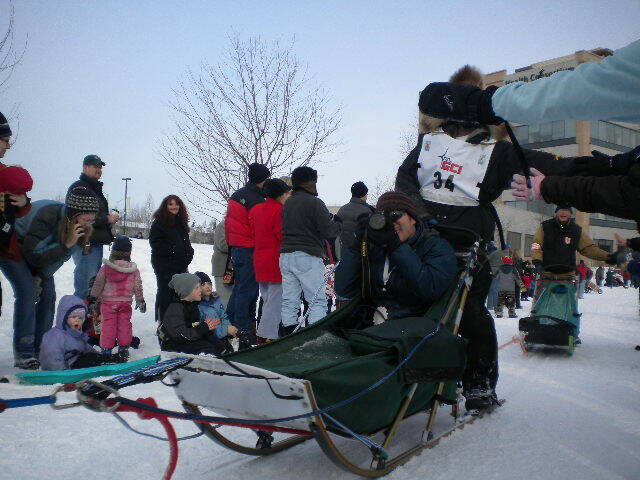 The best part was that they were wrapping up hot dogs and offering them to the racers as they flew by. 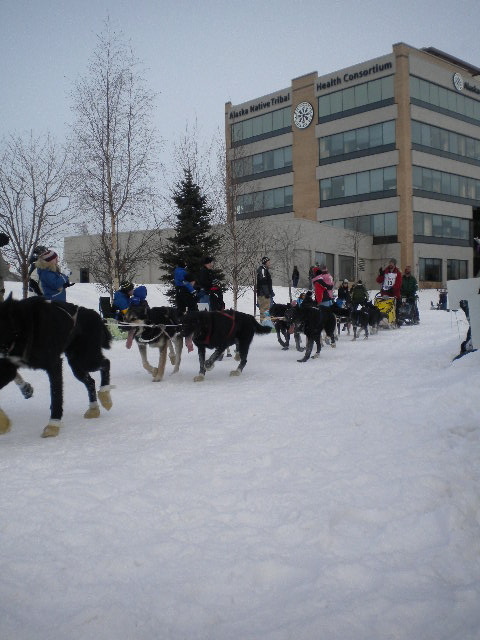 One musher, Jen Seavey (#61), yelled “Yay, hot dogs!” as she went by, catching it on the fly. It was pretty funny. 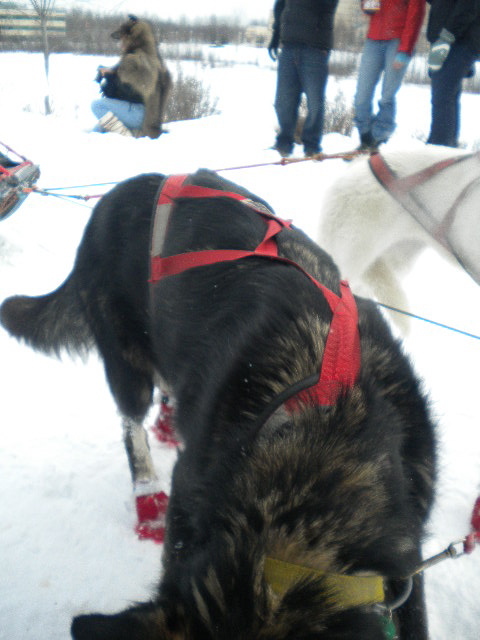 Many mushers seemed grateful to be offered food while on the trail. Good times. And yes, that is a woman. 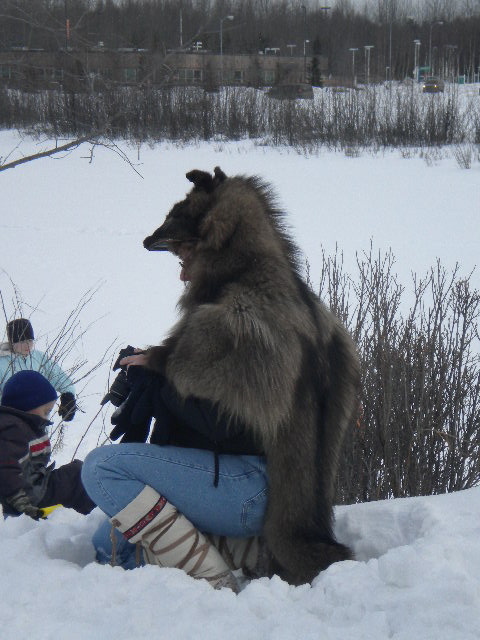 You gotta love Alaska.